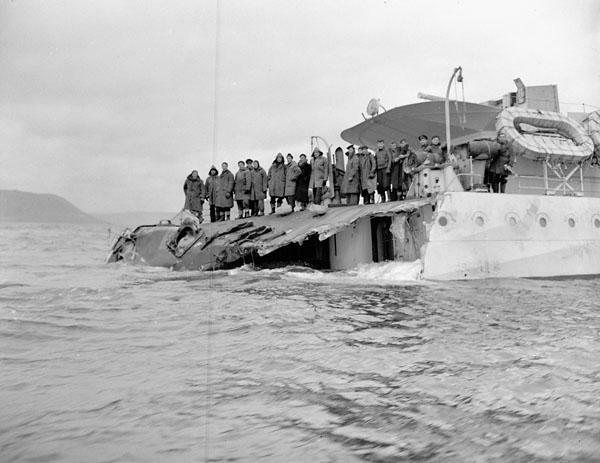 Damaged stern of the destroyer HMCS Saguenay. Saguenay was rammed by SS Ezra south of Cape Race, and lost her stern when her depth charges exploded. St. John’s, Newfoundland, November 18th 1942.